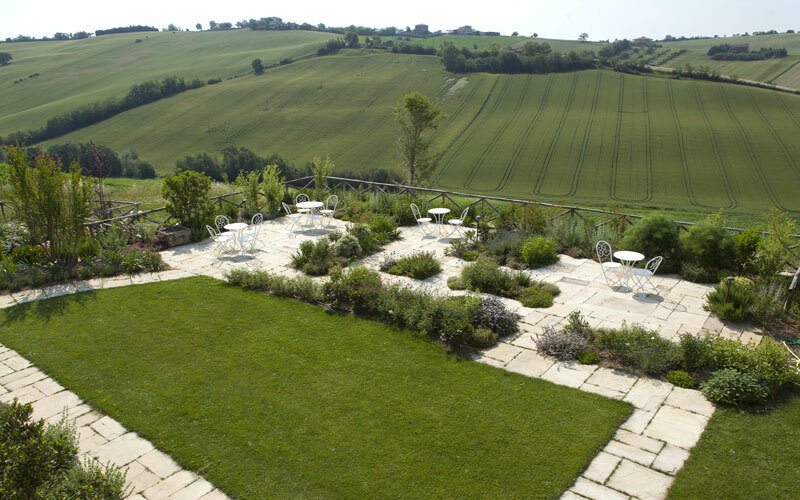 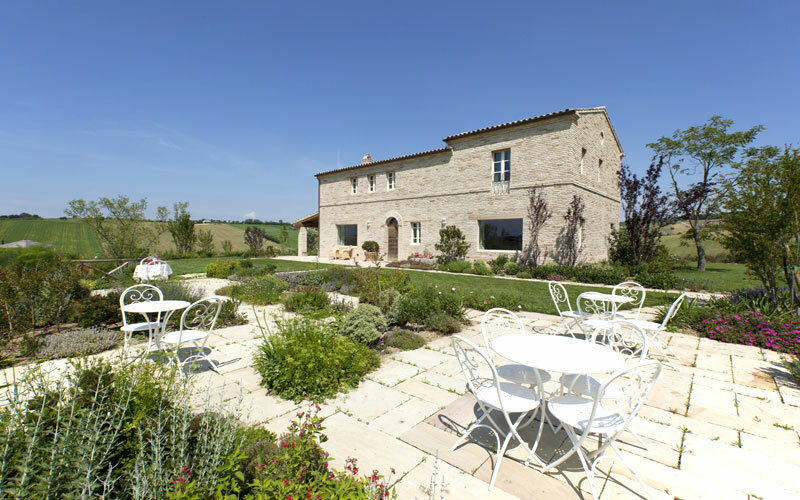 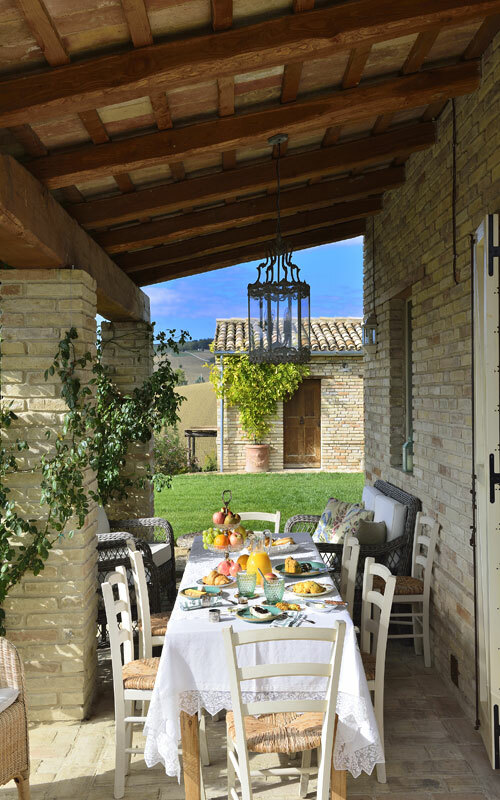 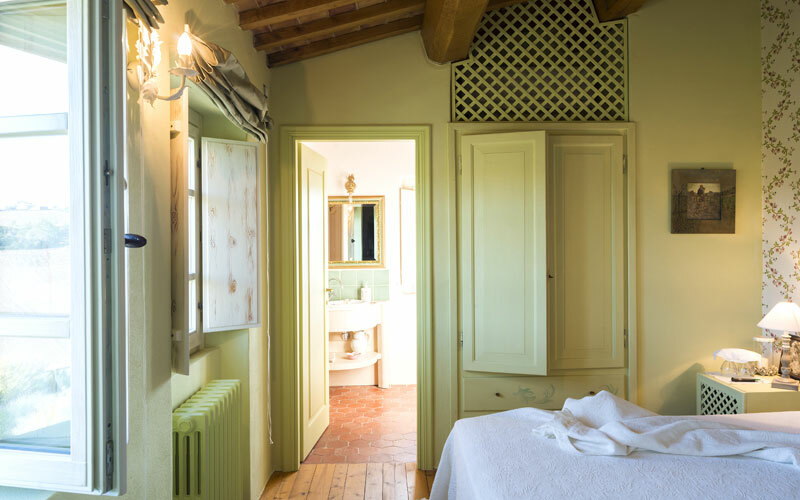 Immersed in the rolling green countryside of Morrovalle and, at the same time, just minutes away from the sea, Il Sambuco is much more than a beautifully-located bed and breakfast, it's an authentic home-from-home in the heart of Marche. 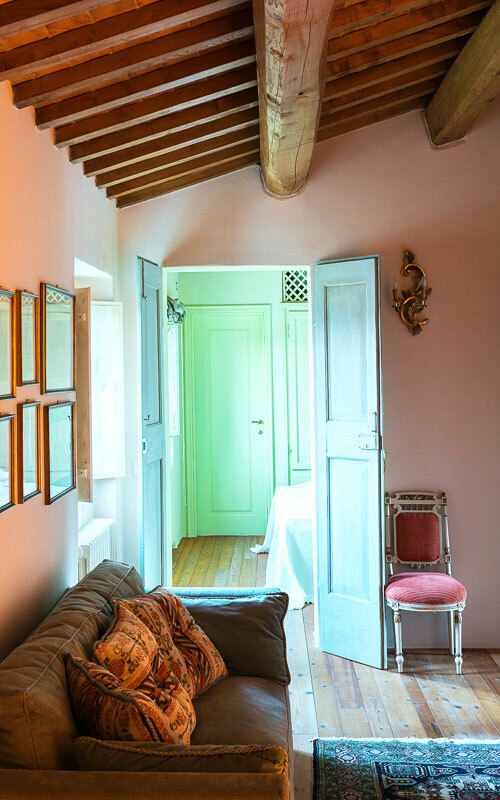 Solid chestnut wood, time-worn terracotta, much sought-for antiques and irresistible touches of shabby-chic charm: that Il Sambuco is the result of a labor of love is evident in every corner of every room in this chocolate box B&B. 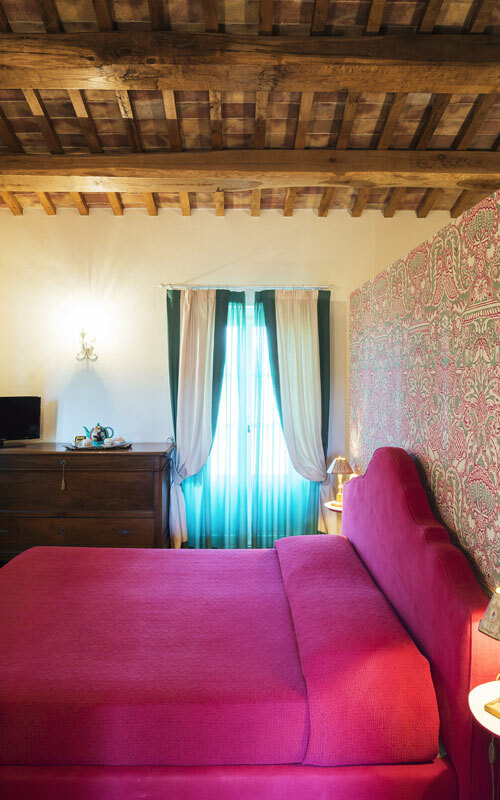 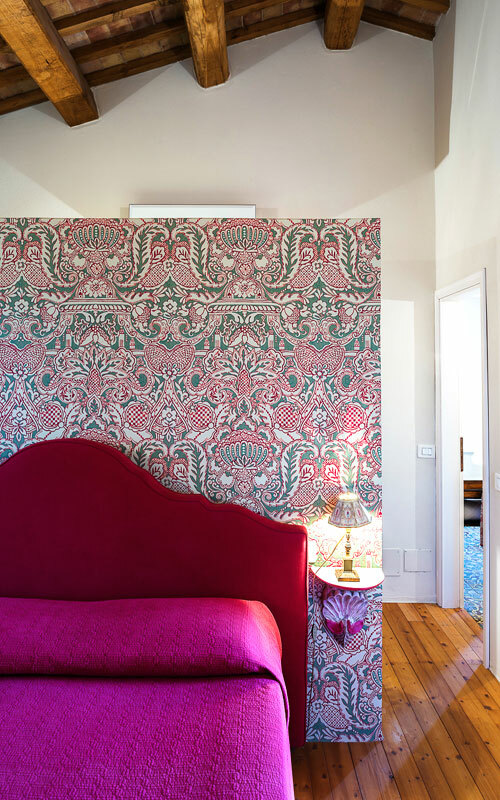 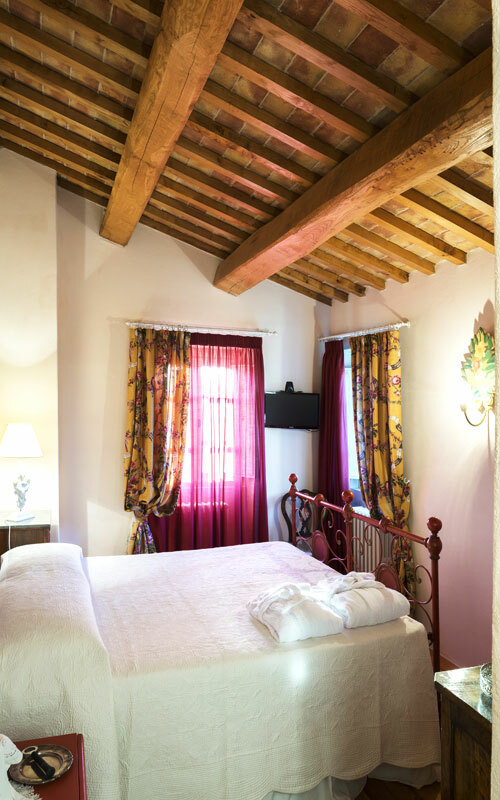 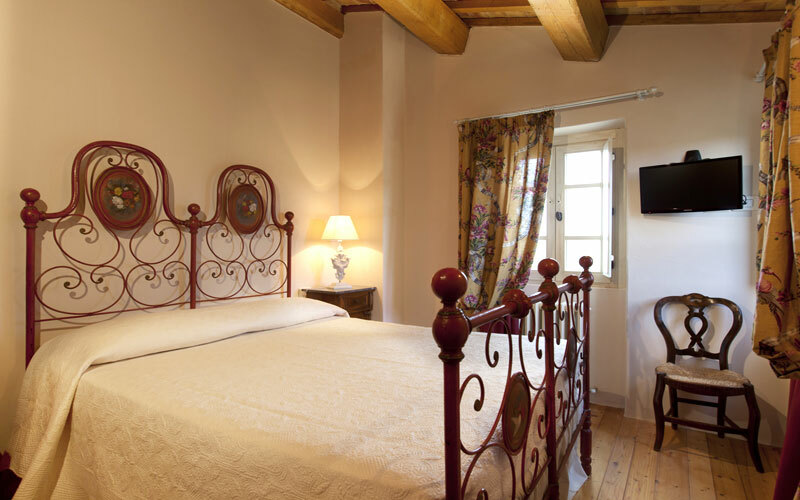 Exposed ceiling beams, an ornate balcony, a russet red wrought iron bed, a chest of drawers with 19th century mirror: in each of Il Sambuco's bedrooms (book early, because there are only three!) 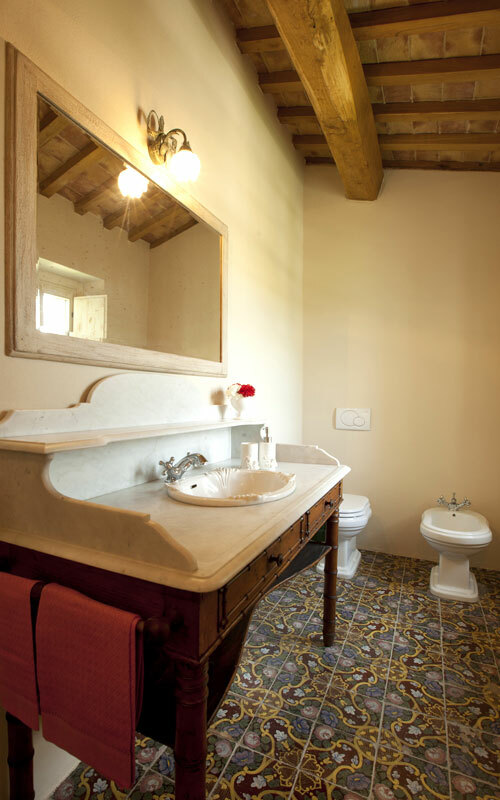 you can expect to find beautiful examples of local building materials and craftsmanship. 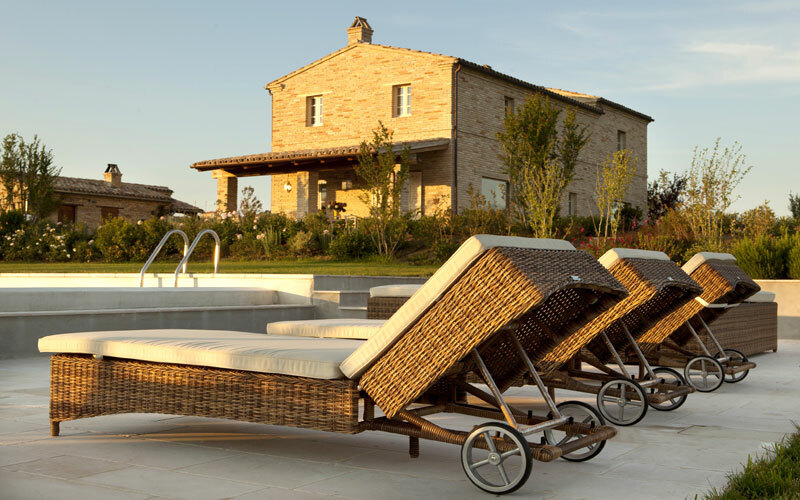 If you like the idea of an active outdoor holiday, you'll love Il Sambuco. 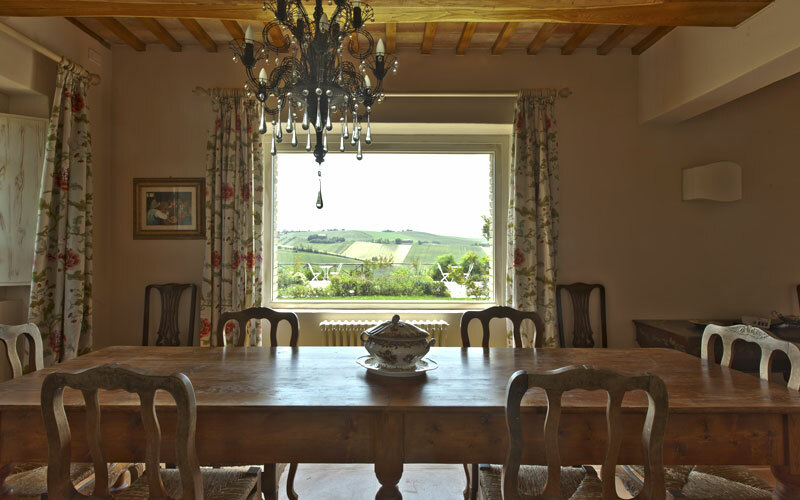 The B&B lies close to any number of great trekking routes (which you can follow on your own or in the company of a local guide), a golf club, and riding stables. 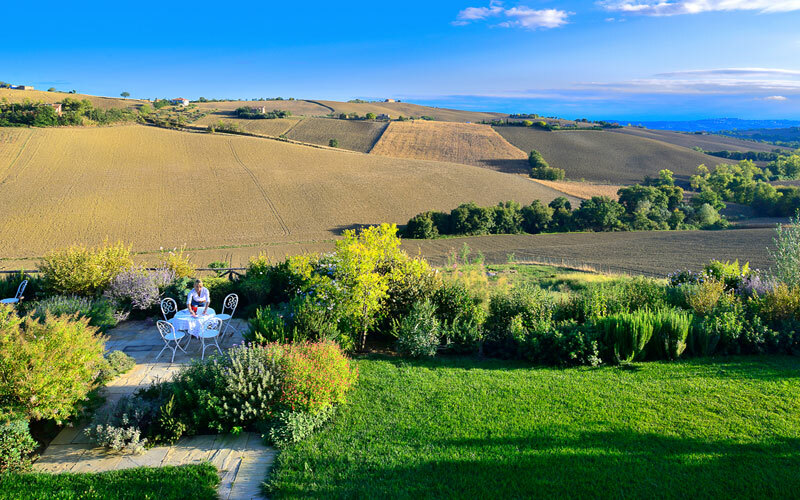 The cuisine of Marche and, in particular, the cuisine made in and around Macerata, is amongst the best in Italy.There are any number of super little restaurants near to Sambuco and the B&B's owners will be only to happy to give you a list of their own personal tried and tested favorites. 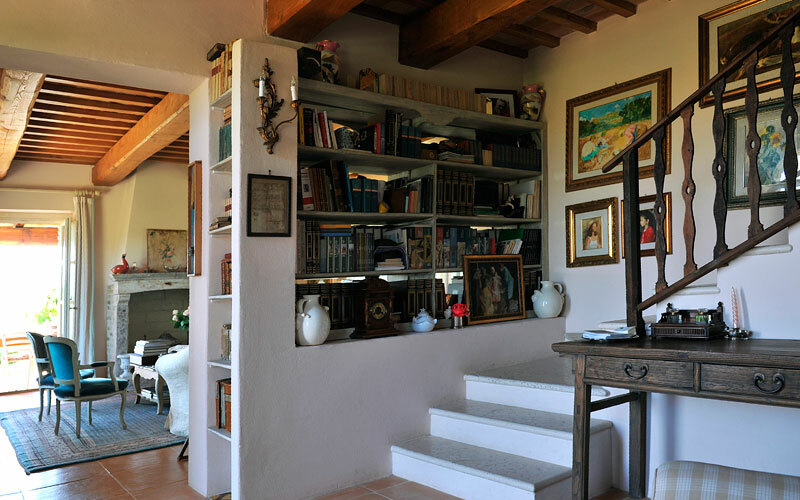 In the last 30 days 41 people have visited this page. 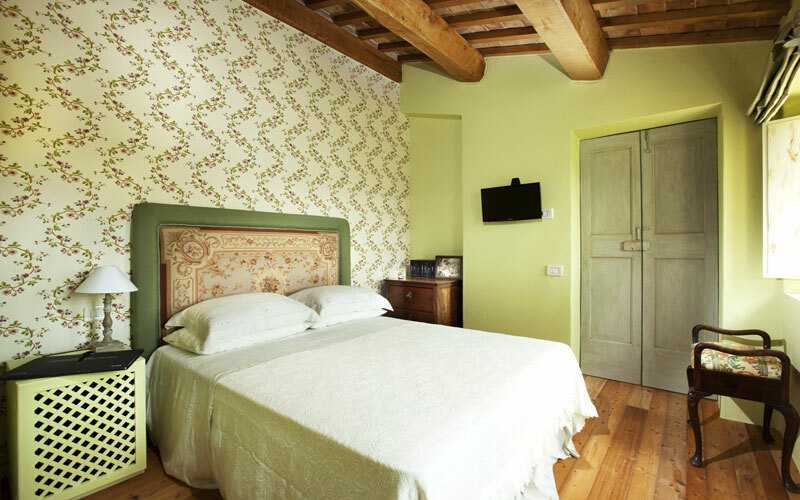 B&B Sambuco is located in Morrovalle, a charming walled village of pre-medieval origin. 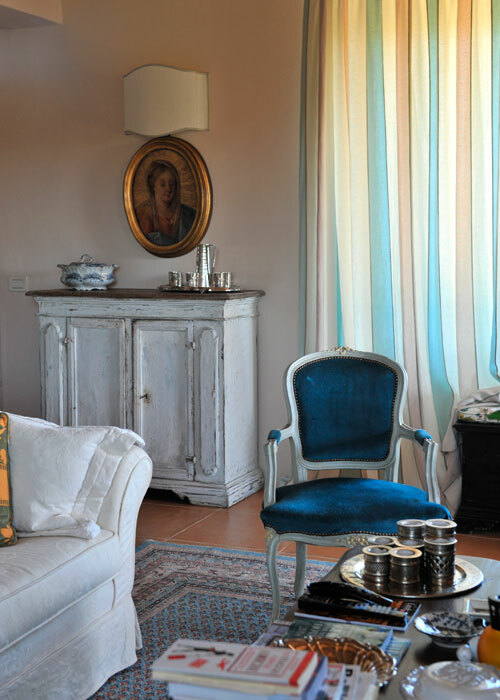 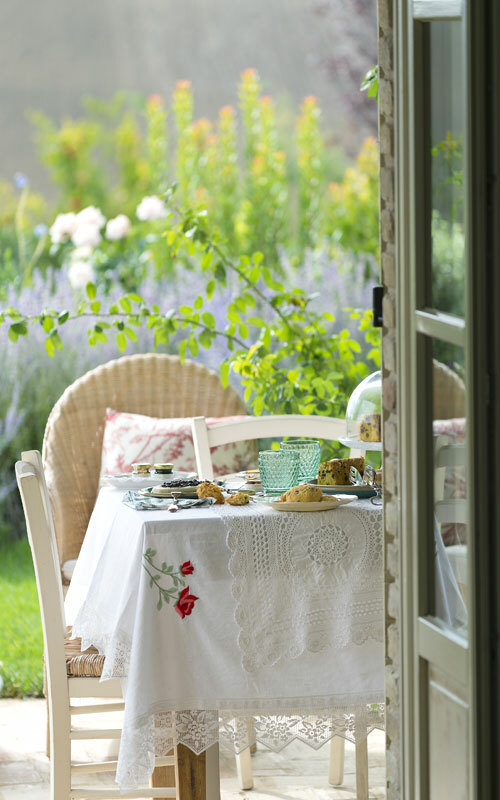 In the countryside and yet, at the same time, within easy reach of the sea, the B&B is just a short drive away from Porto Recanati and the soft sandy beaches of Senigallia. 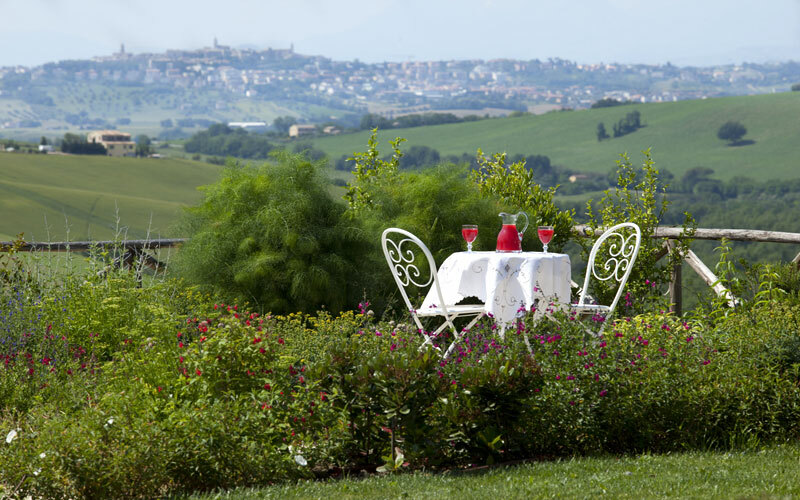 Towns you'll want to visit in the vicinity include Recanati, where the poet Giacomo Leopardi was born, the ancient little town of Montelupone, and Macerata, the 14th century perimeter walls of which are still incredibly well conserved. 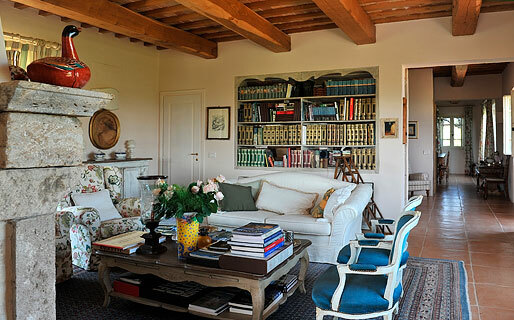 This is a place where you can switch off completely, for those who are looking for elegance, simplicity and isolation. 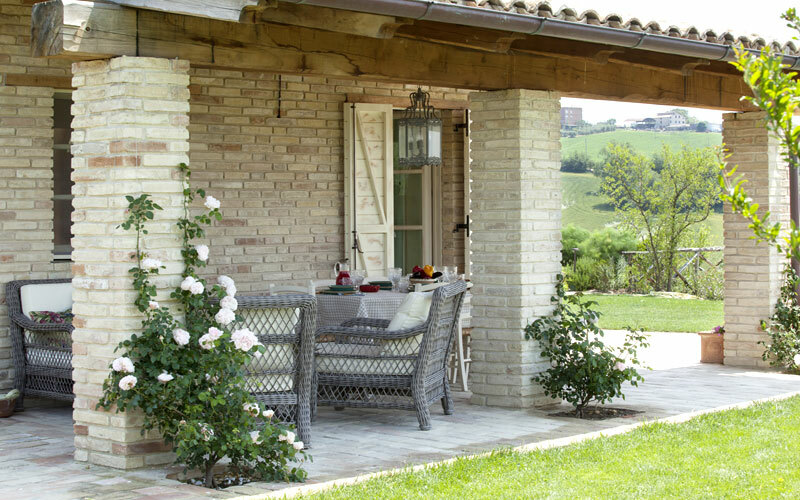 Here you can still feel the pulse of rural life and the breath of the earth.